Boyce returned to London in 1876 to become the Office of Works’ principal surveyor for all overseas work, a post he held until his retirement in 1899. Throughout, he retained direct oversight of diplomatic and consular buildings in the Far East and he was, therefore, the guiding light for consular accommodation in China for over thirty years. Immediately after his retirement, he undertook an extended tour to report on every Far East Post: the published result remains the most authoritative survey of the nineteenth century consular buildings in China. Boyce was succeeded as head of the Shanghai office in 1876 by his assistant, Francis Julian Marshall, who served for twenty years until his retirement in 1897. The Chefoo Convention of 1876 opened four more ports to foreign trade, thereby requiring the establishment of four more consulates. They were Wuhu and Ichang on the Yangtze; Wenchow on the south-east coast; and Pakhoi in the far south on the Gulf of Tongking and close to French-dominated Indo-China. The impact of these new posts on Marshall’s workload was initially small compared with the need to catch up with the demands, and cope with exigencies, of many of the longer established consulates. Takow was one of his highest priorities. The consul, Robert Swinhoe, established a post here in 1864 and lived for six months on Dent & Co’s receiving ship, the Ternate, before renting a Chinese house at Chihou, on the south shore of the lagoon. In 1866, Swinhoe’s successor moved into a newly constructed house nearby in Chihou, leased from McPhail and Co. and, after that firm’s bankruptcy in 1867, from Tait and Co. By the mid-1870s, this building was becoming unfit and Boyce identified the potential for new consular buildings on the north side of the opening into the lagoon, at Shao-chuan-tou. A hilltop site, of about four acres, was accordingly leased, in two portions from two members of the Lu family, by the Office of Works in 1877. Concurrently, a smaller site, of about two-thirds of an acre of reclaimed land, was leased on the bund below, between the sites of Elles and Co. and the Imperial Customs, though boundary uncertainties delayed the final deed until 1880. The two sites were contiguous in plan, connected by a steep path that was later converted into long flights of steps. Marshall designed single storey buildings for both sites: a residence, with some cellarage, on the hilltop, and offices and constable’s quarters on the Bund. The consulate moved into both in mid–1879. Takow, however, gradually lost most of its trade to a reinvigorated Anping and by the turn of the century this consulate was only occupied for a few months in the year. The first buildings constructed in 1864 on the four acre consular site at Hankow, which Crossman had seen in 1866, had been rendered untenable by 1880 by persistent flooding. The ground level had to be raised all along the bund to secure them against a river whose level could rise by as much as fifty feet. Marshall re-built, at a higher level, a two storey consul’s residence, offices and constable’s quarters and gaol, in 1882-3. Although designated a treaty port in 1861, Anping saw very little trade until the early 1880s. In 1885, the Taotai conveyed about two acres for a consular site, beside what Boyce in 1899 called War Junk Creek. Marshall built a consular residence and offices here in 1889. 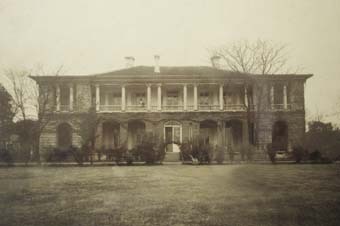 Both consular buildings at Chinkiang, built by Boyce in 1873, were looted and burned down during a local riot in February 1889, forcing the consulate to move temporarily into a large foreign house. Marshall rebuilt Boyce’s buildings in 1890, with some adjustments, and with some compensation from the Chinese government. Marshall subsequently had work to do at each of the four most recently established consulates. At Wuhu, a lease in perpetuity was taken in 1886 for a consulate on a two acre site on a low hill a little away from the river bank. 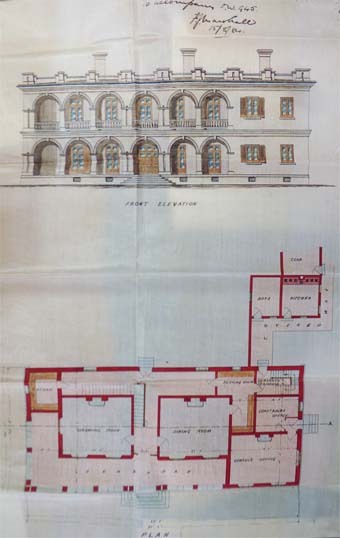 Here, Marshall designed (and suffered adjustments made by Boyce in London) a two-storey consul’s residence with offices and constable’s quarter and gaol, which were completed in 1887. 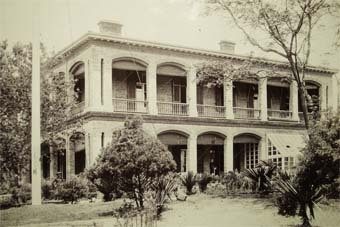 At Pakhoi, a large site of about 20 acres at the rear of the small fishing town was bought in 1884, on which Marshall built a two-storey residence with offices and constable’s quarter in 1887. At Ichang, an early consul built himself a boat at his own expense and used it as his residence and office. No land was therefore acquired until 1890, when one acre in a good area away from local dwellings was taken on perpetual lease. Marshall completed a two-storey consular residence with office in 1892. The first consulate at Wenchow was rented in a temple on Conquest Island, a small island in the middle of the river opposite the walled city. This site, with land around it, was leased in 1885 for 20 years. The first designs proposed by Marshall in 1892 were for a two-storey building for the residence with office, but this became a three-storey proposal in 1894. He completed the building, and constable’s quarter and lock-up, in 1895. Foreign trade failed to prosper at Wenchow, and in 1900 the consul, customs staff and missionaries were the only foreign residents. Soon afterwards, the consul was withdrawn and replaced by monthly visits by the Ningpo consul. The Treaty of Shimonoseki of 1895, which ended the first Sino-Japanese war, designated Soochow and Hangchow, on the southern stretch of the Grand Canal, and Shasi, on the Yangtze not far from Ichang, as treaty ports. And an Anglo-Chinese convention of 1897 provided for the opening of Samshui and Wuchow, both in the south. These were the last British consulates to be established for commercial reasons at treaty ports. The fifteen or so subsequent consulates opened in China between 1900 and 1930 were primarily intended for the more political work of keeping watch on the activities and aspirations of rival powers. The most intriguing of them, and far from the reach of the Office of Works in Shanghai, was at Kashgar, China’s western-most city near its borders with Russia and India, at least four months journey from Peking. It was established by the Government of India in 1891, and staffed by the Indian Consular Service. One of its number, George Macartney, began his service at Kashgar in 1891, obtained a British consular commission in 1904, became consul-general in 1910 and served until 1918. The Government of India completed a fine new consular building in 1913, on the site of Macartney’s old native house. Many travellers became familiar with it, including Peter Fleming, who called the Post Kashgar-les-Bains in 1935 on account of its delights. 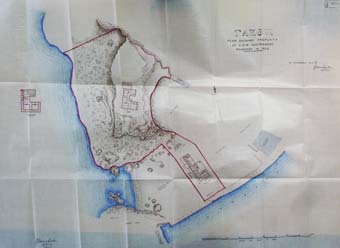 An 1879 sketch plan of the consular compound at Takow on Taiwan, with the residence on the hilltop at left and the offices on the Bund at right, connected by steep steps. 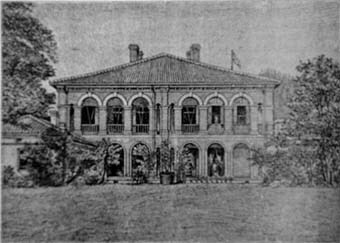 The consul’s house and offices on the Bund at Hankow, built by Marshall on raised ground in 1883 to replace an earlier house that was constantly subjected to flooding. 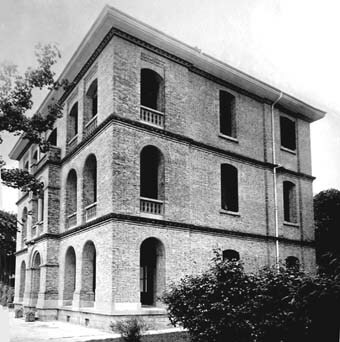 The consul’s house and offices at Anping on Taiwan, built by Marshall in 1889. Marshall’s 1887 layout for the consular compound on a hill at Wuhu. The consul’s house and offices at Wuhu, built by Marshall in 1887. 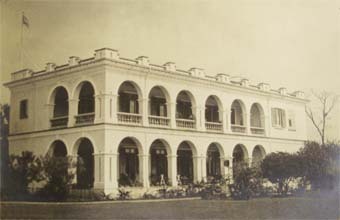 Consul’s residence and offices at Pakhoi, built by Marshall in 1887. Marshall’s drawing of the Pakhoi house, showing the simplicity of the plan. Drawing of the consul’s house and office at Kiukiang, built by Marshall in 1892. 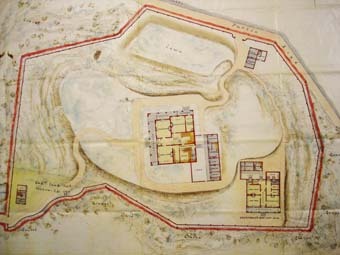 Chinese map showing the walled city of Ichang. 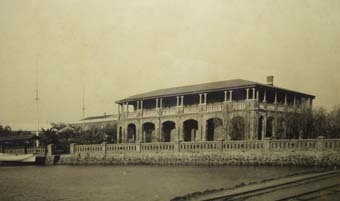 The consular site on Conquest Island, opposite Wenchow, close to the pagoda atop a small hill, in 1894. 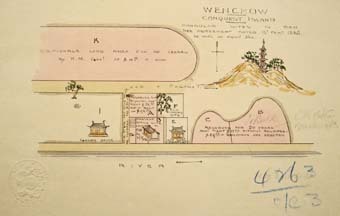 A Chinese 1885 representation of the Conquest Island site at Wenchow. The consul’s residence and office that Marshall designed for Wenchow, built 1895.